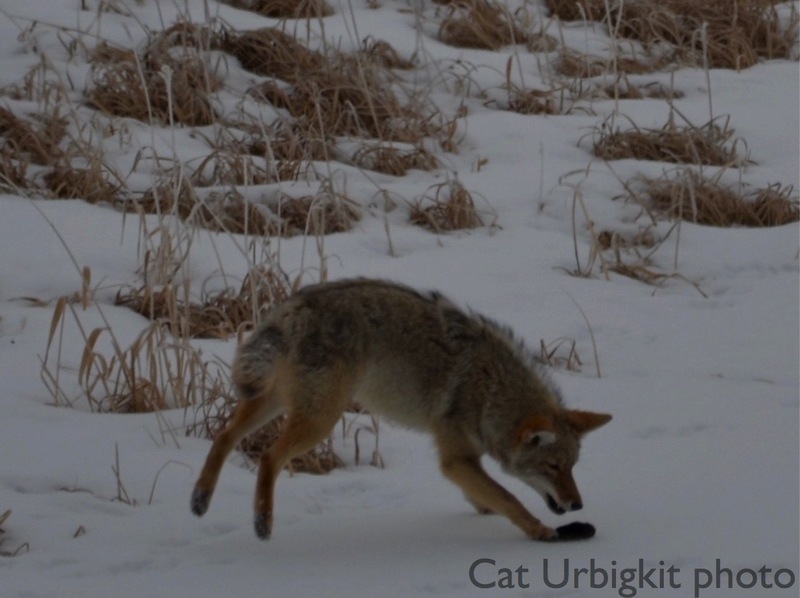 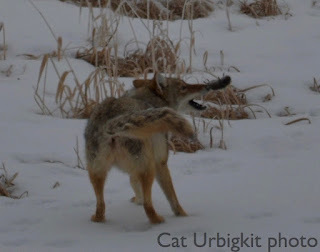 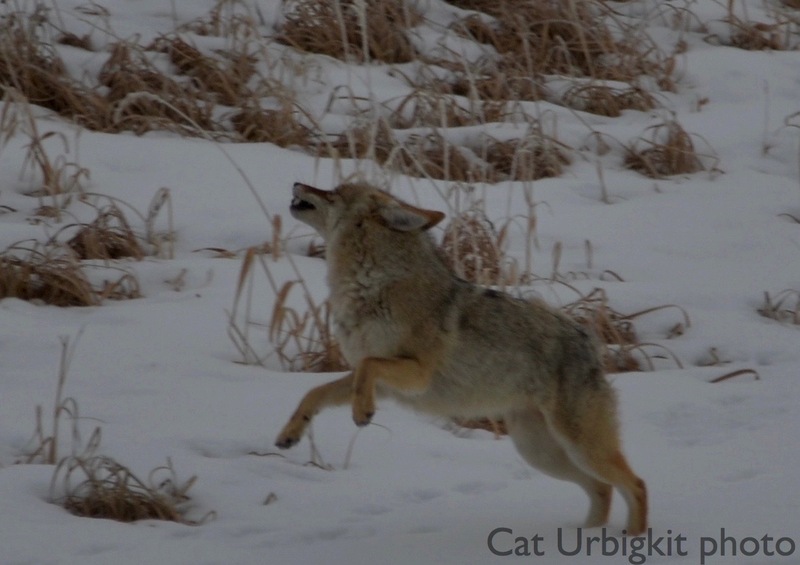 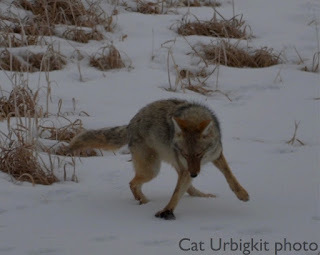 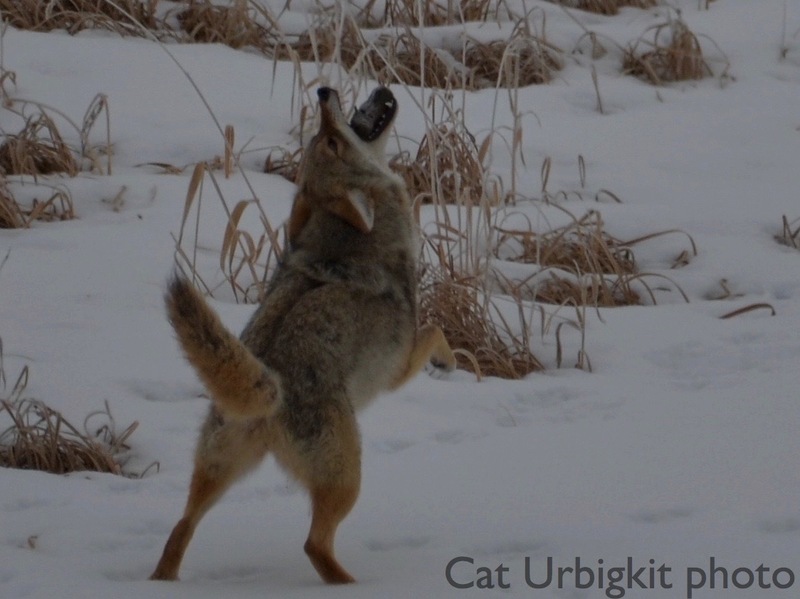 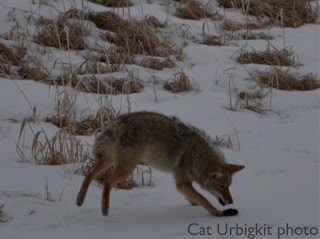 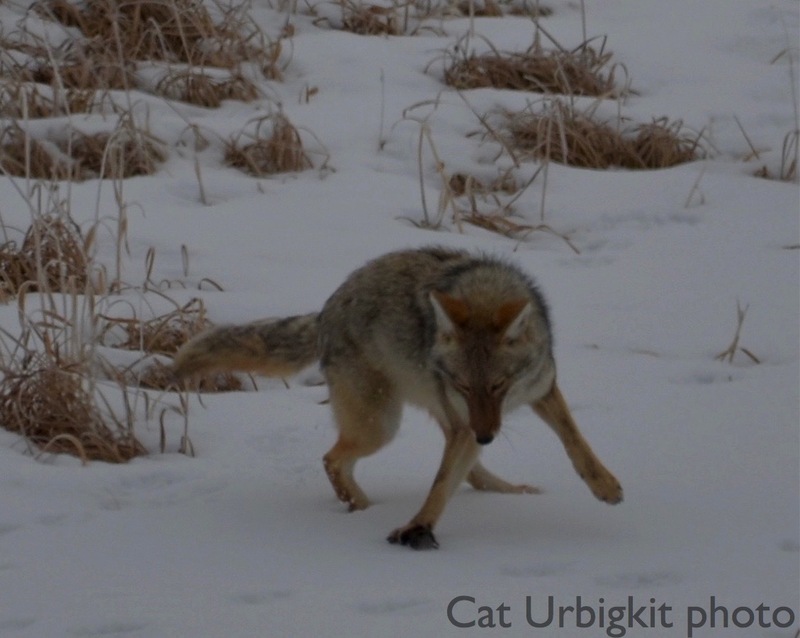 Because sometimes it's fun to play with your food - a coyote in western Wyoming this morning. 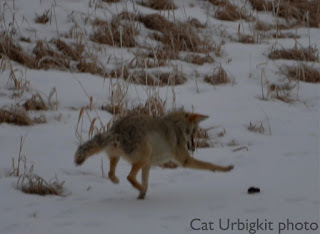 Well, Cat, it's fun when yer ALONE. 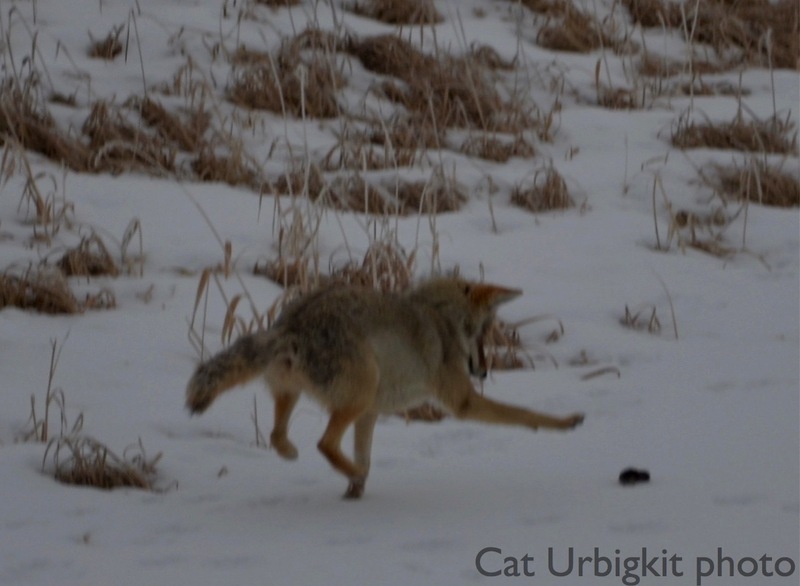 Yer likely to lose yer mouse if yer packmates are around. I know from experience.....L.B.